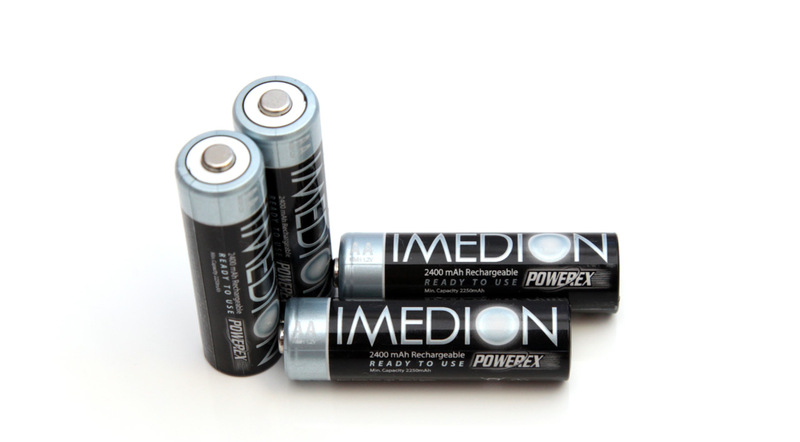 The 1.2V AA 2400 mAh Powerex Imedion NiMH batteries are of the Low Self Discharge Type (LSD NiMH) and are considered to be among the best high capacity and high performance LSD NiMH batteries by many, competing with the like of Sanyo Eneloop for example. These batteries are rated at 2400 mAh typical and 2250 mAh minimum guaranteed capacity and the fact that they are LSD means they are supposed to loose not more than 15% of their capacity per year of storage. They also come pre-charged and can be recharged up to 1000 times. But let us see how good will they perform in our tests and see if they will manage to hold up to their reputation well or not.